Home » General » The New World of Medicare Decisions! The New World of Medicare Decisions! As Americans approach age 65, they must begin making complex health insurance decisions related to the government-run Medicare program. Like food choices on a cafeteria line, there are hundreds of ways to assemble your own plate. As you begin this journey, the first big decision is whether to enroll in Original Medicare or one of the newer Medicare Advantage programs. 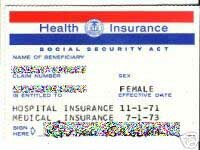 Medicare Advantage, also known as Part C for its place in the ABCDs of Medicare, was birthed in the Balanced Budget Act of 1997. It was created to offer much needed private competition to the government-run health program whose costs are ballooning out of control. Public health officials assemble a package of necessary features and benefits, and private health insurers compete on price, service, and additional perks. Seniors can call their Social Security office or go to www.medicare.gov to view all of the Medicare plans offered in their area. Like many employer-sponsored health insurance plans, Medicare Advantage plans are set up as health maintenance organizations (HMOs) or preferred provider organizations (PPOs). HMOs and PPOs are managed care plans that contract with a set of doctors, hospitals, and other health care providers to manage the costs. For example, an in-network doctor agrees to perform open heart surgery for a predetermined price. All plans cover emergency care when traveling in the United States, but outside of your network. Most plans also offer international emergency care benefits, but make sure you confirm the details before you book your next cruise. Uninsured traveling can be costly. To assist consumers, Medicare now rates Medicare Advantage programs using a star system. Using member satisfaction surveys and plan evaluations, plans are rated between one and five stars. In fact, at any time, you can switch into a five-star Medicare Advantage plan, but only if one is available in your region (only a few states have a five-star plan). Even if your area does not offer a top-rated plan, every state offers at least a four-star plan. Many seniors choose a Medicare Advantage program because it can lower health costs. If you are willing to stay in network, a Medicare Advantage program is likely to have lower costs than the Original Medicare program that has no network restrictions. For this reason, it is important to check with your preferred doctors and specialists to confirm that they are part of the network before joining. Medicare Advantage also offers greater simplicity. Those who use Original Medicare must purchase a private drug plan (Part D), and they typically buy a supplemental plan (Medigap) to limit costs. This assortment of plans requires carrying around three insurance cards that all have different copayments and deductibles. Medicare Advantage offers one comprehensive plan with one insurance card. Unfortunately, the only way to really know if Medicare Advantage is right for you is to get an in-depth evaluation. You can pursue this personally by using the cost calculator tool available at www.medicare.gov. This helpful tool will produce a customized report listing your expected total costs for each plan after you enter all of your drug information. If you do not feel comfortable using the online tool, you can seek advice from an independent advisor who is knowledgeable about the hundreds of Medicare cafeteria line options. Keep in mind that most Medicare insurance advisors are paid more to sell you more expensive policies. Some of these plans are NOT “advantageous”, so I suggest that you get the help of someone who can inform your decision. Let me know if you’d like advice on that front. If you want help in reducing your taxes, get our free report by clicking the button on the top right.